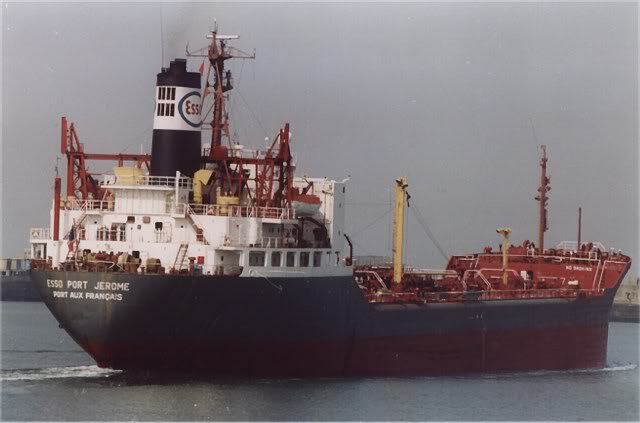 Build as "Esso Kumamoto" she became "Esso Port Jerome" in 1980. 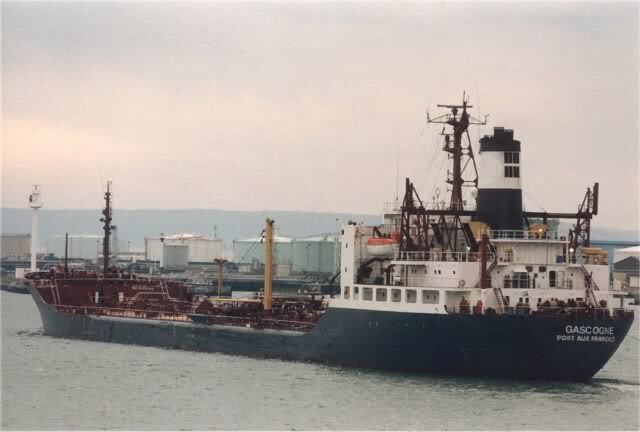 "Esso Port Jerome", ex. 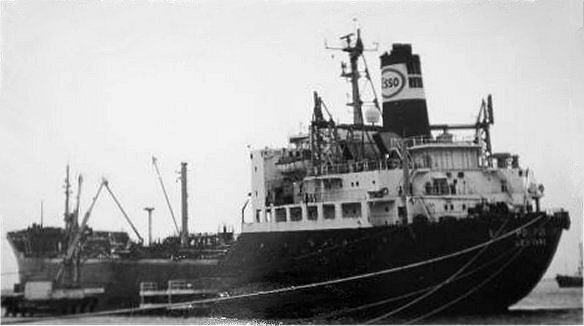 "Esso Kumamoto"
"Esso Port Jerome". ex. 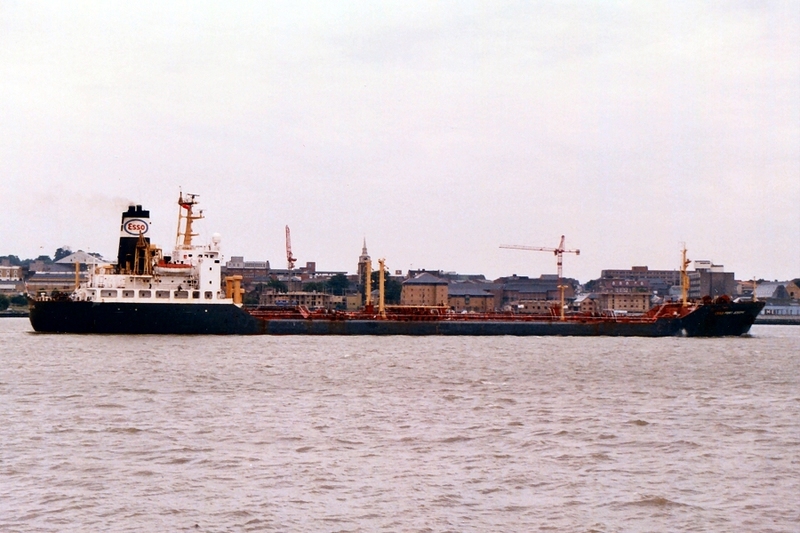 "Esso Kumamoto"
"Esso Port Jerome", at Hamburg December 1th, 1991. 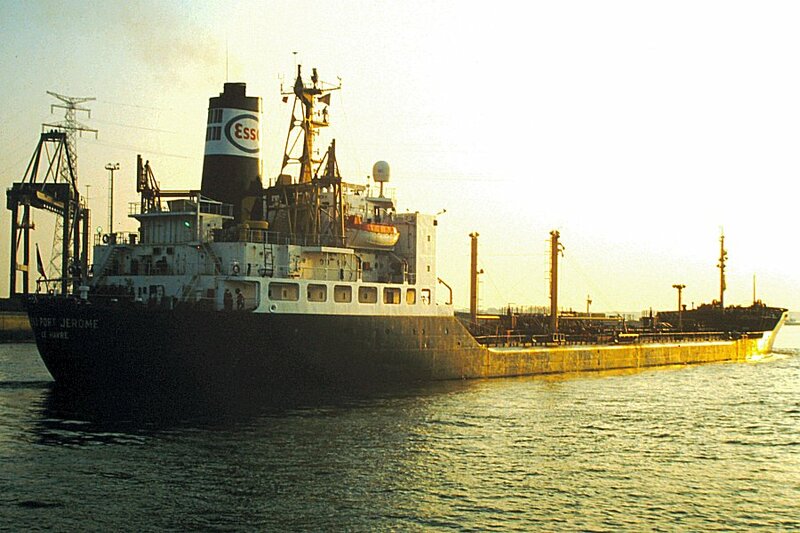 "Esso Port Jerome", at Atlantic Ocean Near Cape St.Vincent. 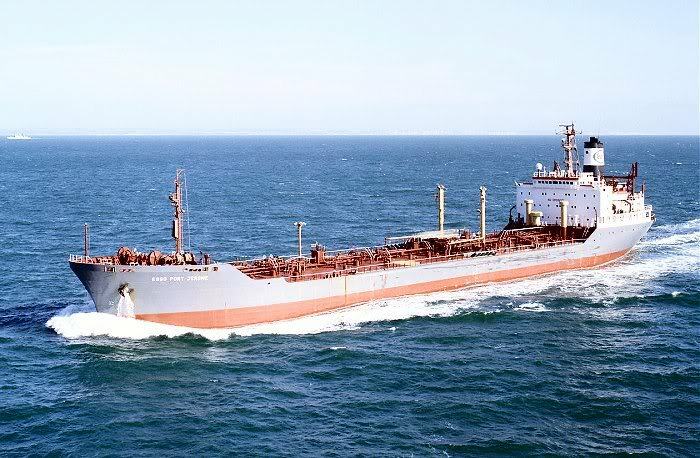 The Miramar Ship Index for "ESSO KUMAMOTO"
ESSO PORT JÉROME (2) (1980 -1995) -> GASCOGNE (1995 -1997) F.N.Y.P. 13544 g 7912 n. 22726 d.; 161.00 oa-152.00 ppx 23.50 x 12.76 meters. 7 Cyl, 2S.C.SA. B&W oil engine of 9270 BHPby the shipbuilder. 15 knots. 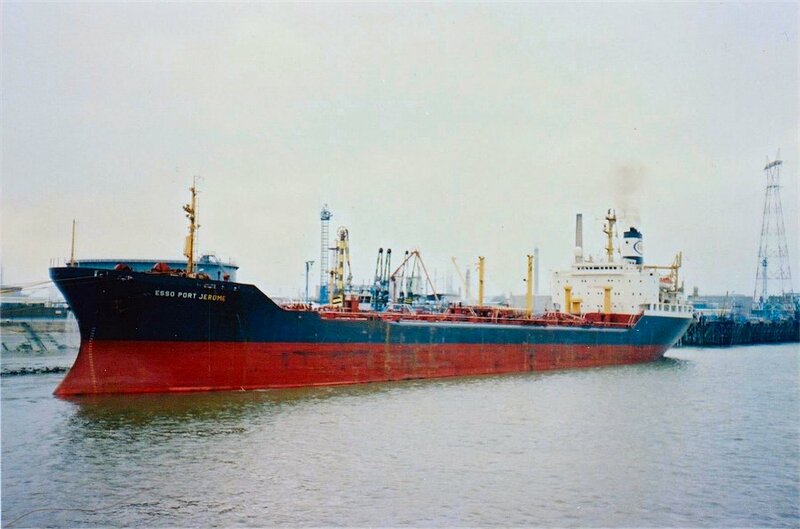 1972 : completed by Hitachi Zozen (4361), Mukaishima as ESSO KUMAMOTO for Esso-Tankers Inc., Liberia. 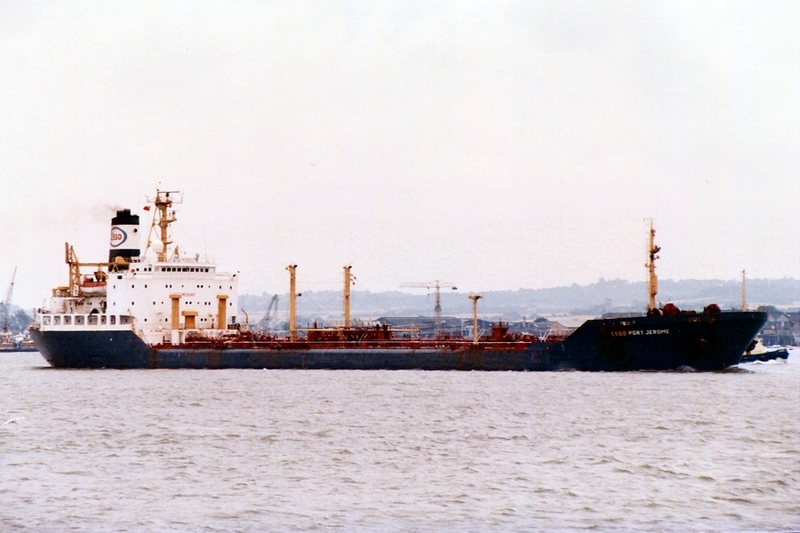 1980 : purchased by Esso-SAF, Le Havre, and renamed ESSO PORT JÉROME. 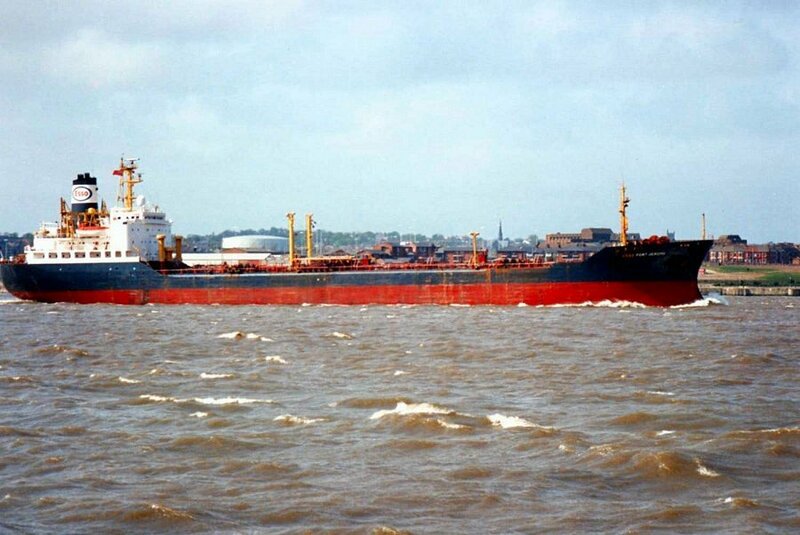 1997 : sold to Five Star General Trading (St. Vincent & the Grenadines flag) and renamed TANKER ONE. 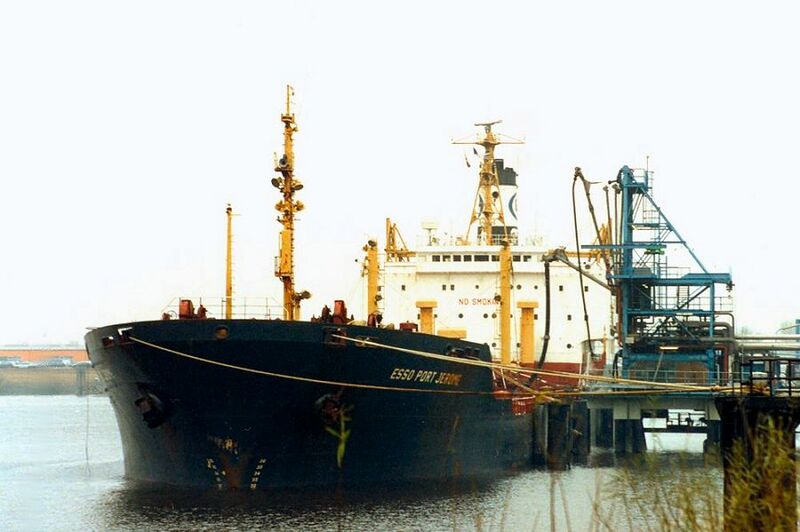 03.09.1997 : arrived to Ghittagong for breaking up. 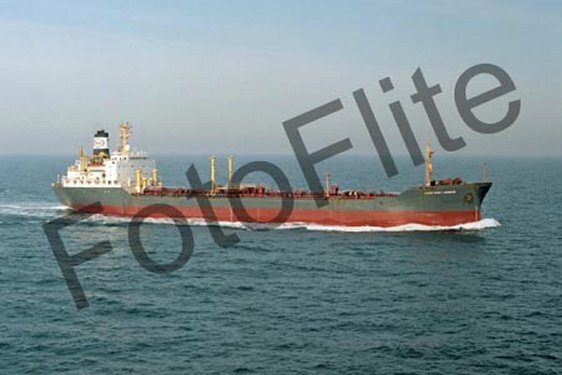 • Sisterships : ESSO PARENTIS (2) and many olhers under various flags. 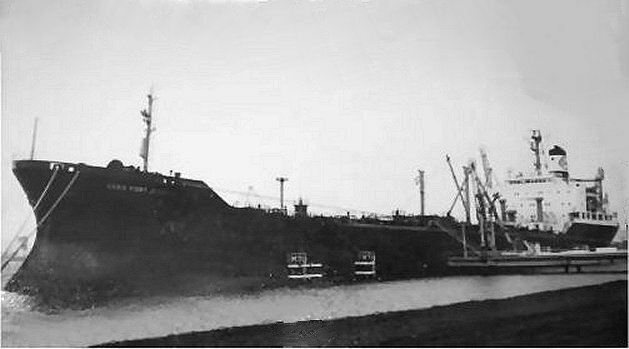 • Similar : PORT BRIAC. B&W, 2 tew, 7 cyl, 9400 BHP. 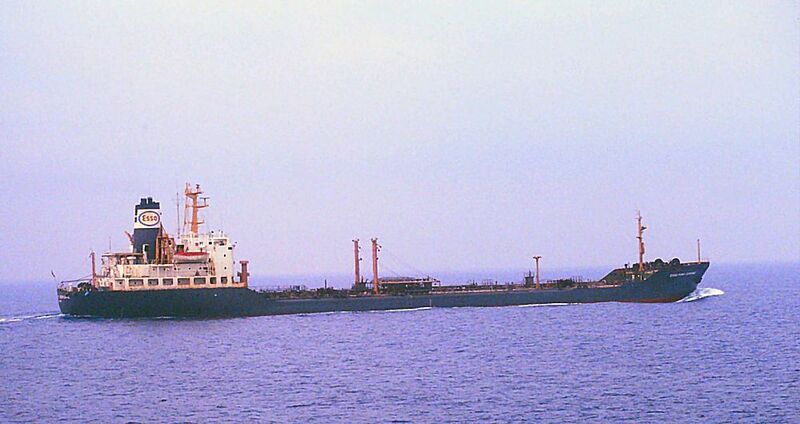 1997-1997 as "Tanker One" .